IT industry body Intellect wants to raise awareness of the benefits that automation software can bring to UK business. 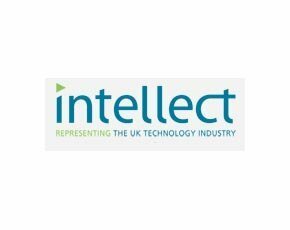 Intellect says automation software is underused in the UK, which is currently in its early adopter phase. The industry body said businesses are missing out on what it describes as "white-collar automation". "Blue-collar automation" is already established with robots carrying out a sizable proportion of manufacturing processes. But white-collar automation – software carrying out businesses processes for back offices – has a huge potential market. “The UK could become a leader in white-collar automation,” said Marco Pisano, head of the Automate Britain campaign at Intellect. Automation software is often spoken of as a replacement for offshoring IT and back-office roles. For example, mobile operator O2 deployed software to automate business processes, which reduced the cost of back-office operations and cut its reliance on offshore recruitment to cope with spikes in workload. Read more about "white-collar automation"
When Apple decided to change the size of the SIMs in the latest iPhone with less than six weeks' warning, 02 had to have a business process in place to deal with changing customer SIMs. 02 said that, without automation software, there would have been a three-month spike in demand for 60 full-time staff in India to cope with this. But the software from back-office process automation supplier Blue Prism meant this was not required. Recent research from Quocirca, commissioned by IT automation software maker IPSoft, found IT staff spend 30% of their time carrying out basic tasks and are growing frustrated with the lack of time left to focus on transformational work. The average IT worker is also only using half of the skills they possess as a result of time spent on straightforward tasks. Intellect hopes to raise awareness of what today’s automation technology and how it can increase UK business productivity and economic growth. And it doesn’t mean just more jobs lost to robots rather than offshore workers, said Intellect. Intellect said 02 reduced its offshore workforce by 50 while creating 15 jobs in the UK. Pisano said automating back-office processes will create higher level jobs in the UK. “Automation creates jobs in the end because you need people to create the software and work with it,” said Pisano.